The 2018 annual South West Coast Piping Drumming Dancer workshop will be held from 13-15 April 2018. Terry Tully, former Pipe Major of the World Champion St Laurence O’Toole Pipe Band is the key international tutor this year, and will be performing at the tutor’s Showcase with other local talented pipers and drummers. 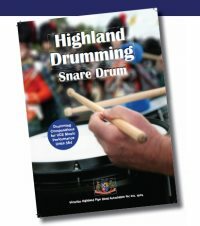 There is still time to register, and registration forms can be downloaded from the Warrnambool Pipe Band website at wadpadi.org.au via the drop down link to SWCPDD.